THE SCHLAGER SYSTEMS: Fancy Cruising with the Schlager Stars? Fancy Cruising with the Schlager Stars? 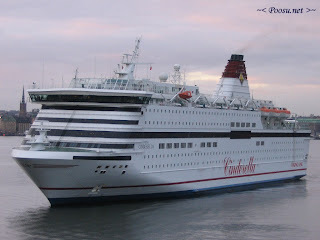 You can buy your cruise tickets at http://www.vikingline.fi/index.asp?lang=en and we hope you have a very pleasant journey! We'd love to book in the "Nina och Kim - En Gång För Alla!" suite for next week! Strutting up and down the deck with the sailors and having a Lotta fun with Miss Engberg! LINDA BENGTZING TOPS SWEDISH POLL! A Few Signed Items From Our Friends!